We arrived at 7am in Seoul, Korea. 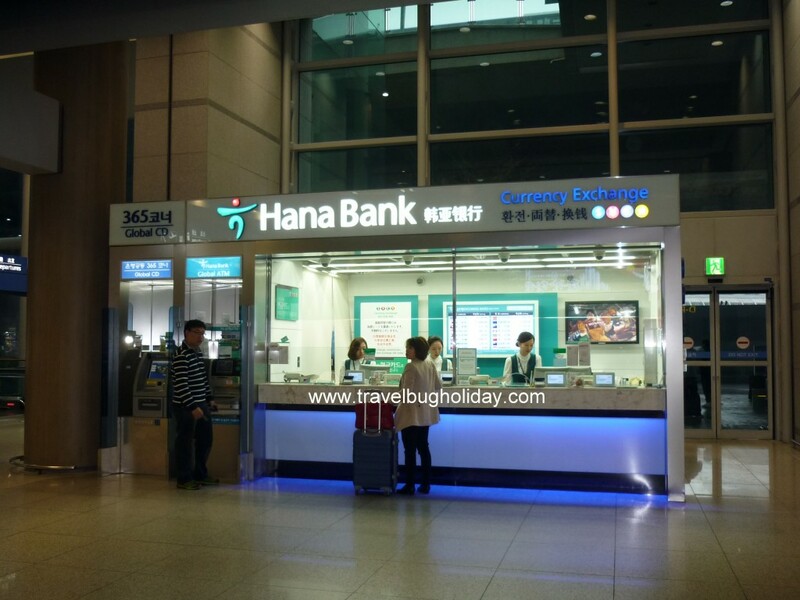 Since we cannot check into our hotel that early without paying penalty, I decided to use the time to check out a few things at the airport, such as transport system in Seoul T money, withdraw money from ATM. No fees charged if you used a machine that has Visa or Amex or Cirrus. 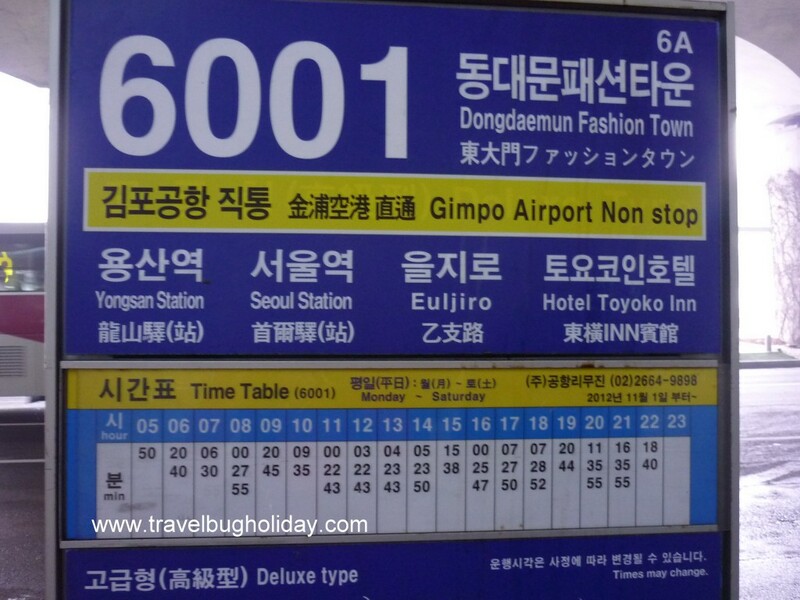 I took the limousine transport bus 6001 located just outside exit 6 at Inchon airport. There is a ticket booth that sells the bus ticket with credit card or cash (if you have not purchase the T-money card). The cost of single bus ticket from the ticket booth is the same, whether you use cash or with the T-money card. The other thing is when you purchase the ticket at the ticket booth outside exit 6, written on the ticket was the name of the bus stop, so I just had to show the bus driver where I need to get off the bus. 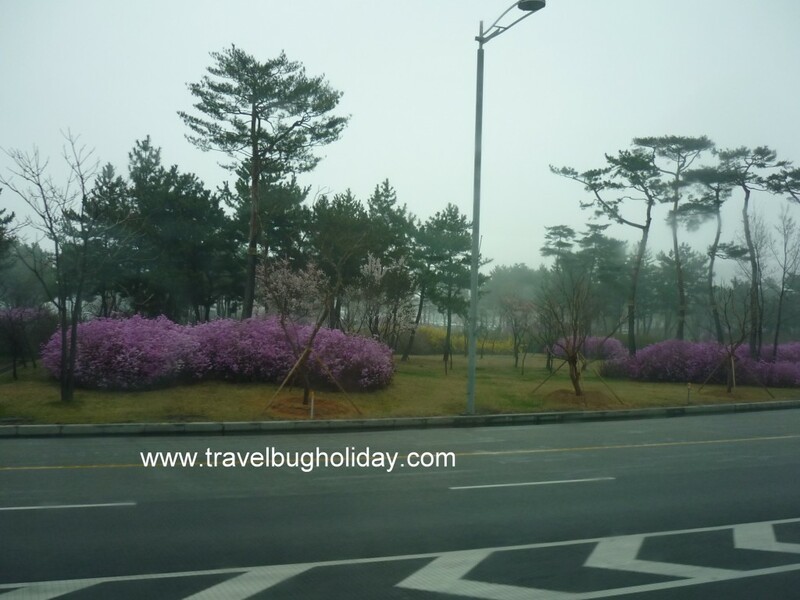 The easiest way for a newbie to Korea to get to your hotel is to use the Airport Limousine bus. The cheapest is the subway but to do that on the first day will probably give you unnecessarily stress, especially after a long flight. The lovely girl at the airport information told me which airport bus to use to get to my hotel, Ramada Seoul Dongdaenum. 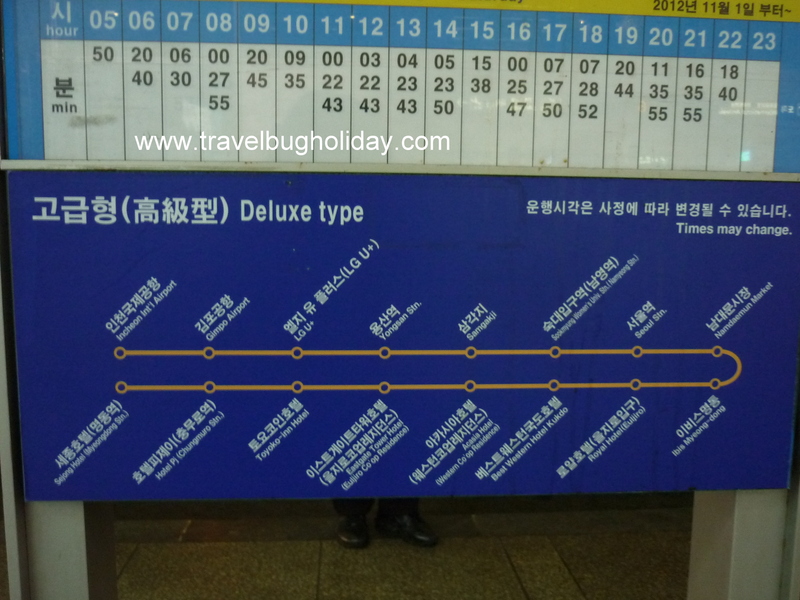 I took the 6001 bus, costing 14,000 won per person. This bus stopped at various hotels along the way and it also stopped at the corner of Acacia hotel. To get to Ramada hotel, it is on the same road/row of street, just 2 minutes from Acacia hotel. The airport bus stopped on the main road. You need to walk to the corner and both hotels are your left side. I personally find that I have no problem in Korea as Korean may not speak much English, but they do know a few broken English to assist tourists. Not only that, Korea caters for tourists very well, the announcements in the bus, subway are normally conducted in Korean, English, mandarin and sometimes in Japanese. I find that even though I speak a bit of Japanese, I find that to get information to take subway or bus in Japan harder than in Korea. I had more language problem in Japan than in Korea (where I have nil vocabulary in Korean). Reason that I find Korea easier to get around is that there are a lot more English words/signs in Korea as compared to in Japan. The airport shuttle/limousine bus driver speaks little eng.ish, but he managed to understand the word "tell”, thus he called out to me when the stop to my hotel arrives. I need not have feared as the commentary on the bus also indicated that I have arrived at Acacia hotel, so I know that I have to get off there. I asked the bus driver where Ramada is in English and he pointed me in the right direction and said 2 minutes. That is enough information for me to know what he meant. 2) Ssamziegil Shops at Insadong, Korea . 3) National Museum, Korea .